Every year since 2012, we’ve spent some time after the season looking back at those that wore the Birds on the Bat. Whether it’s a bit player that got into just a couple of games or someone that played almost every day, we’ll look at their stats, their positives, their negatives, and grade them based on what we would have expected from them. The stat line is from their time in St. Louis, though splits and other numbers may include time with other teams, if applicable. Think of this as like the players packing up their locker and then seeing Mike Shildt before they head off for the winter, or in this case talking with John Mozeliak. Once again, our great header work comes to us from cardinalsgifs, who continues to be a master. 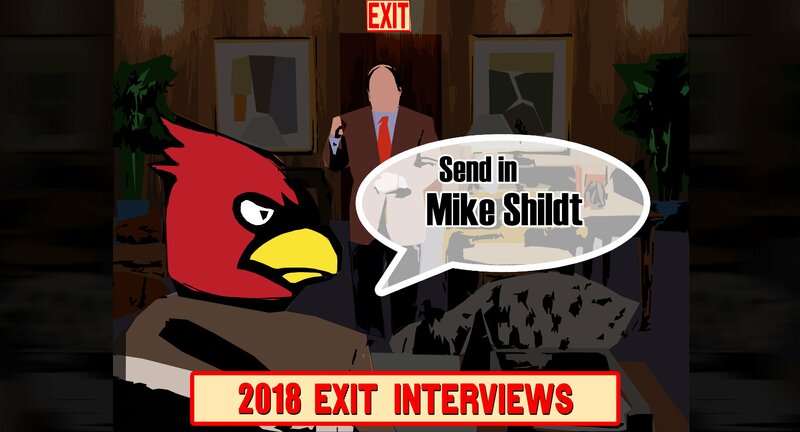 Overview: Mike Shildt was likely going to be the next Cardinal manager no matter when the club parted ways with Mike Matheny. They could have done it after the 2018 season, after the 2019 season, whenever, but the organization had deliberately positioned Shildt into the spot to take over. It probably worked better for Shildt that it was in mid-season, as it gave him a chance to be accepted by the fanbase instead of looking like “more of the same” even when he definitely wasn’t. All the winning in August helped as well, but as people got to know Shildt, got to see personality return to the post-game interviews, got to hear about his connection to George Kissell, got to really find out about his love of the game and his approach to it, having him become the manager seemed an obvious choice, at least to those that understand the Cardinals. It’s not always going to be August, though. The team scuffled a bit in September and notably fell out of the playoff race in the last week, something fairly uncommon for the Cardinals. He’s also not perfect, as some criticized his use of Yadier Molina in the second hole for so long or his commitment to Dexter Fowler to play daily until Fowler broke his foot and was out for the season. There are going to be plenty of decisions and choices that people aren’t going to agree with, but the obvious difference between him and his predecessor is that Shildt is more likely to let you in on his thought process and also admit when something didn’t work the way he thought it would. As fans, it makes it a little more palatable when there is some logic involved or an explanation given rather than just “it didn’t work” for the 20th time.